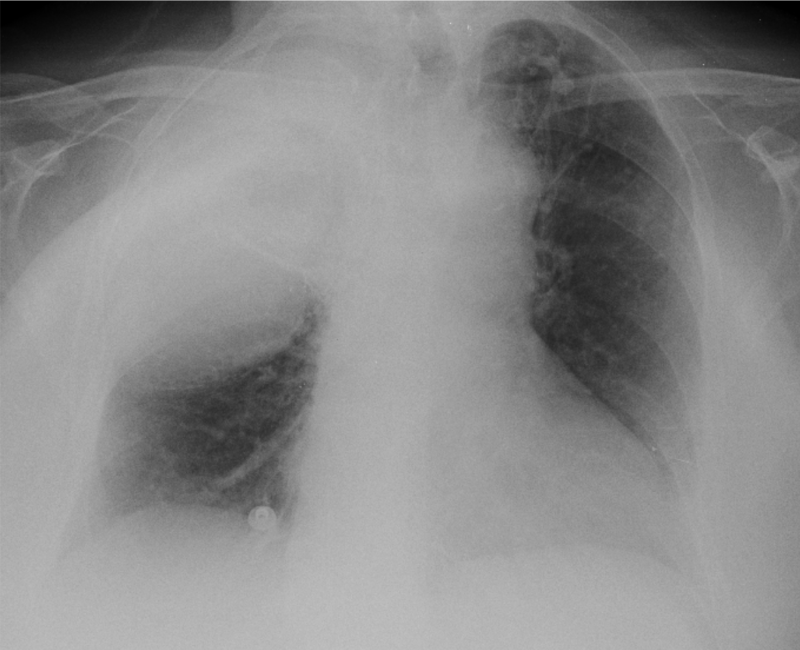 There is an extrapulmonary right lesion with pleural calcifications. 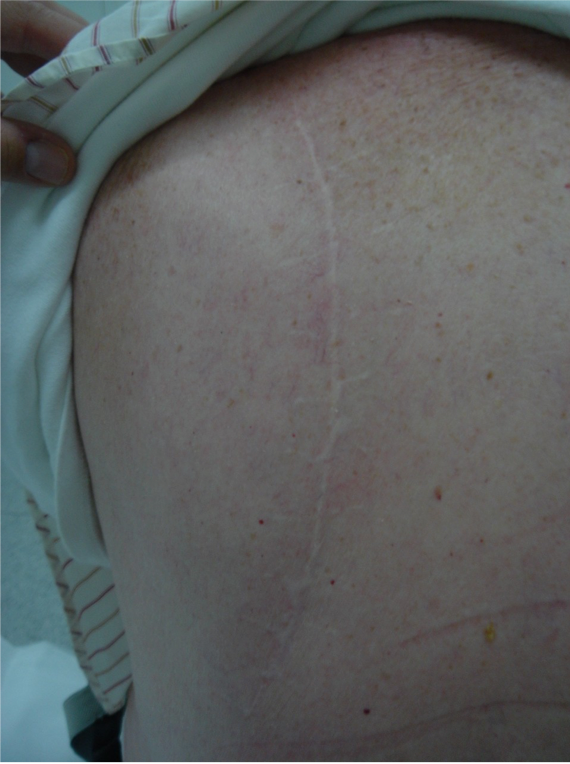 The lesion has various densities like soft tissue and fat/cystic degeneration with pleural thickened. I think it can be a fibrous pleural tumour. 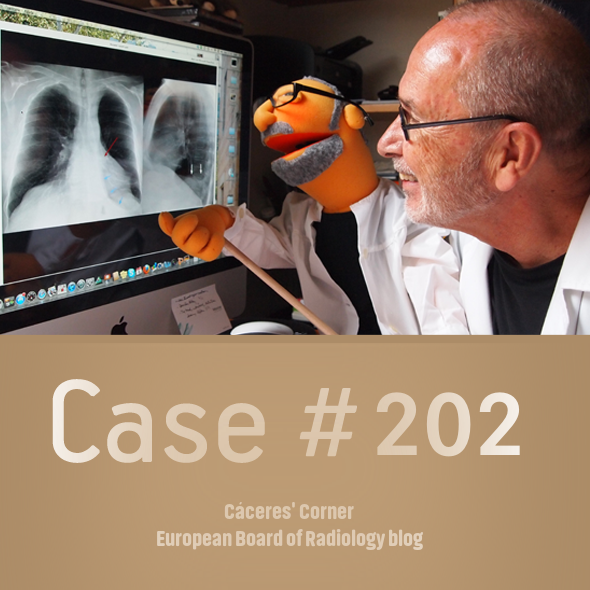 There is a well defined extra-pulmonary lesion in the upper aspect of the right hemithorax with peripheral calcifications, most suggestive of solitary fibrous tumor of the pleura. 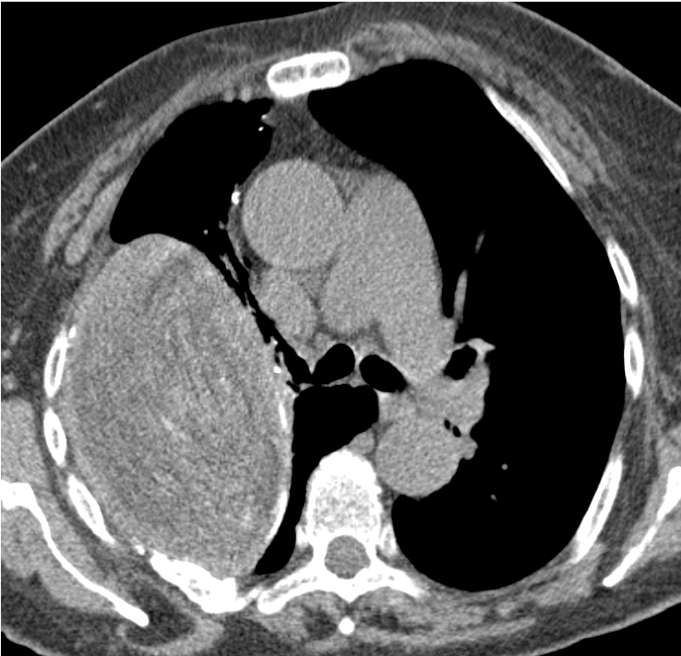 Large extrapulm mass with smooth margin with calcifications. Rib destruction +. 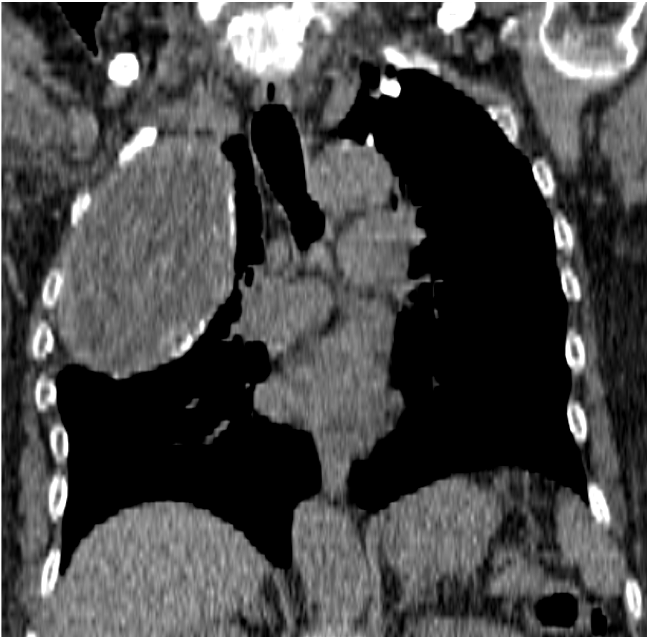 There is visible calcified tuberculoma in left pulmonary appex,maybe pleuritis Tb chronica on he contralateral side?